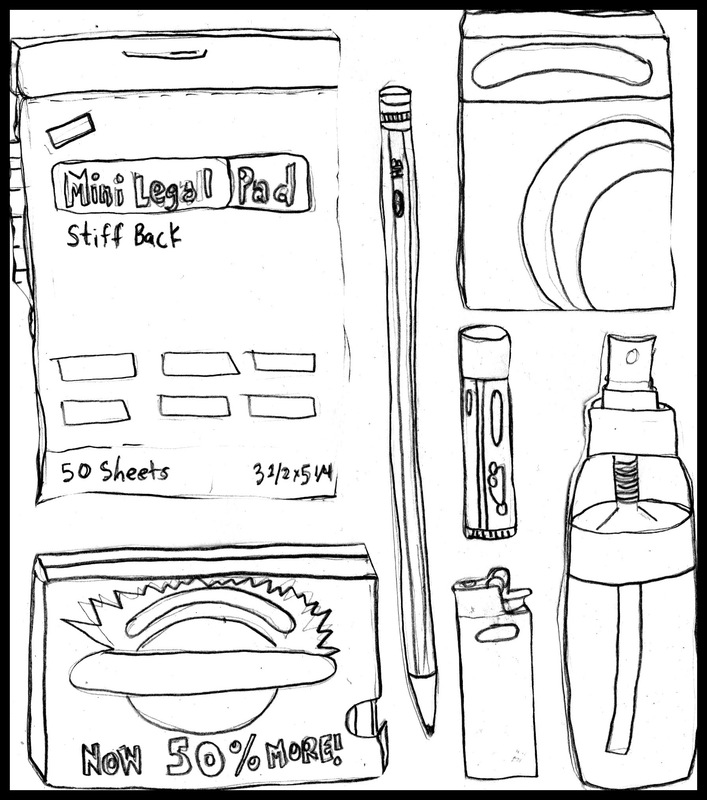 So here is my attempt at a product placement free-ish drawing challenge for “What’s in your bag?”. 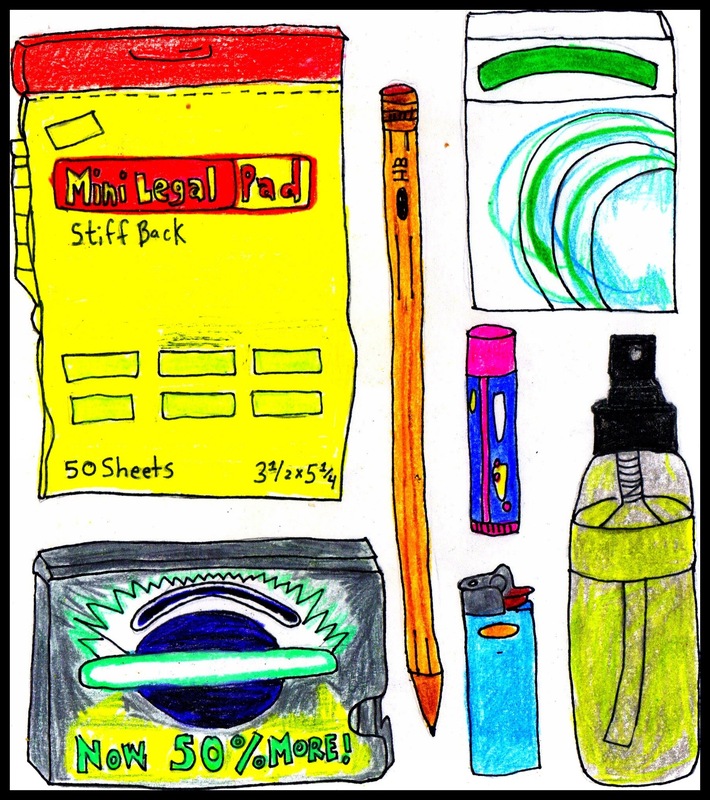 Items from top left to bottom right: lined notepad (pretty banged up), #2 pencil (without an eraser, unfortunately), menthol cigarettes (unfortunately), 14 out of 18 pieces of sugar free gum, raspberry lemonade SPF 15 chapstick, mini lighter, diluted gardenia essential oils. Items usually in my bag, but not visually represented here: my wallet, phone, different types of books/things to read, pen(s), receipts, matches, coins, odd or meaningful trinkets…? Thank you! My bag is a bit of a mess, as well. So cool how those all look like real things sharing the same reality. Like visual verisimilitude! And great lighter!